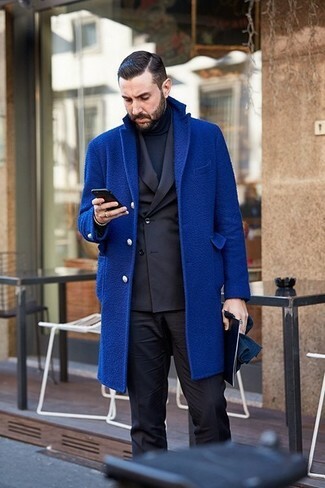 This combination of a Just Cavalli navy turtleneck and a blue overcoat looks considered and makes you look infinitely cooler. 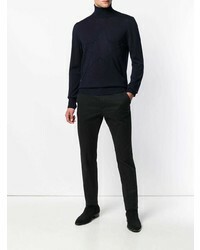 Wear a Just Cavalli Roll Neck Fitted Sweater from farfetch.com with navy jeans to feel instantly confident and look casually dapper. Now all you need is a cool pair of burgundy leather boat shoes. This pairing of a Just Cavalli Roll Neck Fitted Sweater and black wool dress pants is a safe bet when you need to look refined and really dapper. 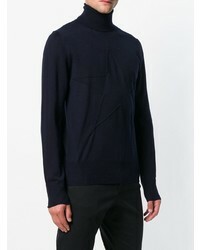 Reach for a Just Cavalli Roll Neck Fitted Sweater from farfetch.com and black chinos to achieve an incredibly sharp and current casual outfit. 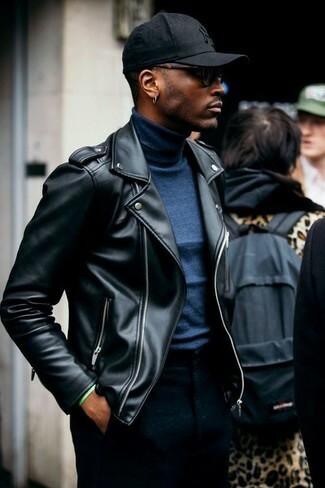 To give this look a sleeker feel, complete your look with a pair of black leather casual boots. 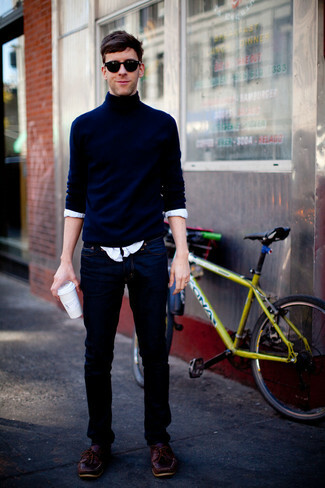 A navy turtleneck looks so great when matched with navy jeans. 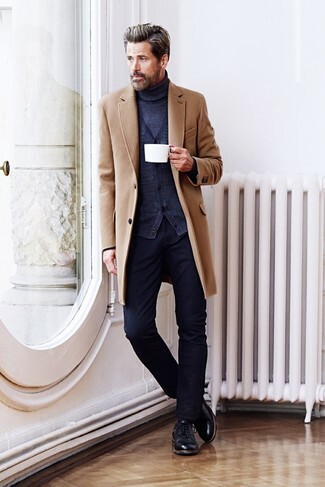 Put a more elegant spin on this ensemble by finishing off with a pair of black leather brogues. 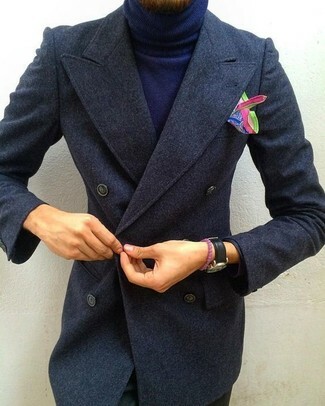 You're looking at the solid proof that a Just Cavalli navy turtleneck and a navy suit look awesome when combined together in an elegant outfit for a modern gent. 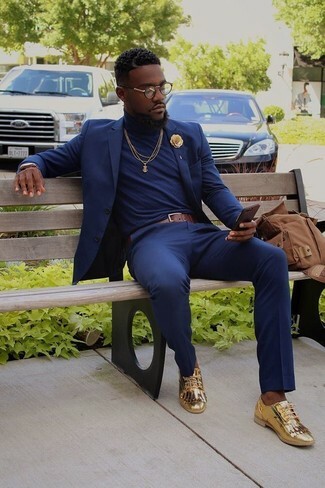 Gold leather tassel loafers are a nice pick to complete this ensemble. 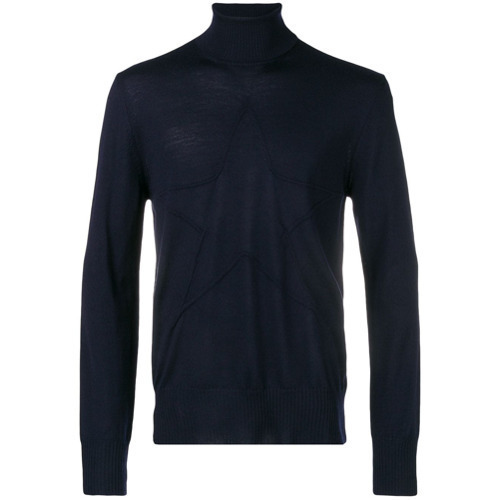 A Just Cavalli Roll Neck Fitted Sweater and black chinos are essential in any gentleman's properly balanced casual wardrobe. 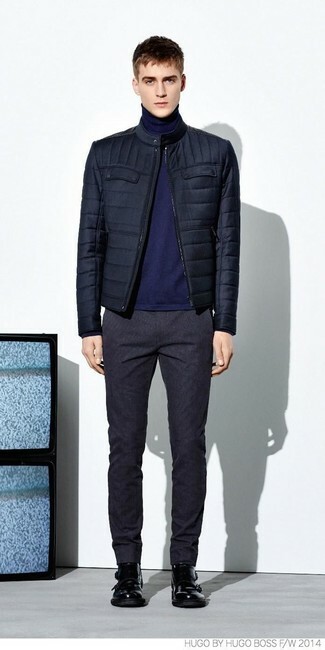 Reach for a Just Cavalli Roll Neck Fitted Sweater and charcoal wool dress pants for smart style with a fashionable spin. 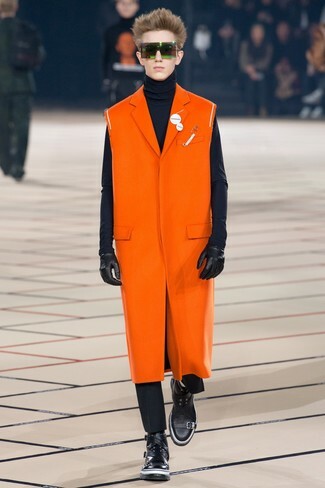 Let your outfit coordination prowess truly shine by finishing off this ensemble with black leather double monks. 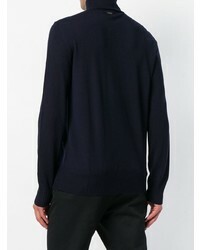 If you're on a mission for a casual yet seriously stylish outfit, wear a Just Cavalli Roll Neck Fitted Sweater from farfetch.com with white chinos.